The new king of cycle racing, Fabian Cancellara is very passionate about his sport, and this is evident from his consistent performance. During the fifteen years long career, he has witnessed victories as well as downfalls. His success has many times been obstructed by injuries, but all these played a role in making him more determined and focussed. This racer has learnt to manage allegations and admiration quite well. He has managed to win many titles as well as the hearts of sport lovers through his racing skills. His coach had even once said that he is far better than anyone else in cycling. He is also into social service, and is an ambassador of the ‘Laureus Foundation’, which works towards uplifting deprived children. He has set new records, but his victories make him more humble. He maintains a great balance between his professional and personal life. He is one of the greatest cyclists Switzerland has produced, and his family has not been a hindrance in his career. His professional engagements too have never come in the path of his family time. He lives with his wife and two daughters at their residence at Bern. This racer has a long way to go, and many milestones are still to be accomplished. 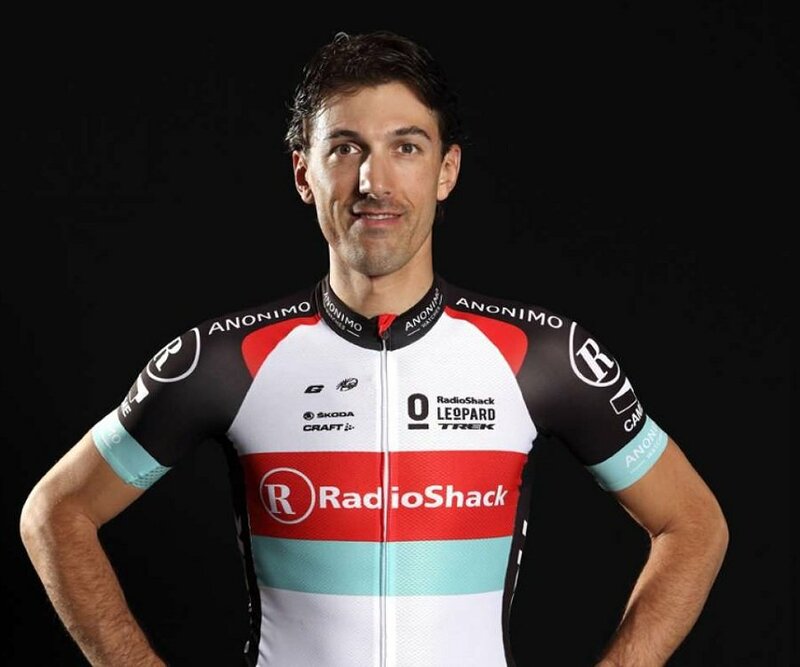 Cancellara was born on 18th March, 1981 in Wohlenbei Bern, Switzerland, to parents of Italian origin. An old bicycle in his garage attracted this boy when he was in his early teens, and almost immediately he developed an interest for cycling. 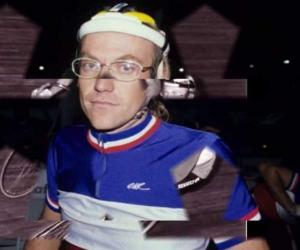 In 1998, he won the ‘Individual World Time Trial Championship’ (junior), and the next year too, he retained the position. He finished second at the ‘Under-23 Individual World Time Trial Championship’ in the year 2000 and the same year, he signed with the ‘Mapei-Quick Step’ team. Hence, his professional career as a racer started. The following year, he contested in a racing event for the 2001 season, and was placed first at the prologue and also the overall winner at the ‘Tour of Rhodes’. The same year, he also won the ‘GP Eddy Merckx’ and the ‘Duo Normad’. Fabian was a member of the ‘Gruppo Giovani’ team after the ‘Mapei’ was fragmented into theTT1 ‘Top Team’ and the TT3 ‘Gruppo Giovani’, in accordance with the ‘UCI’ (‘Union Cycliste Internationale’) guidelines. In the 2001 racing season, he was victorious on 4 occasions, and the following year he was successful nine times. This rising sports star entered the ‘Fassa Bortolo’ team as a lead out man for Alessandro Petacchi in 2003. The same year, he led his team to the finals of the event ‘Tour Mediterraneen’, and finally emerged victorious in the ‘team time trial’. He also participated in the ‘Tour of Flanders’, ‘Tour de Romandie’, ‘Tour of Belgium’, ‘Tour de Suisse’ during the same period. Cancellara participated in all the major cycling events of 2004 such as ‘Setmana Catalana de Ciclisme’, ‘Tour of Flanders’, ‘Paris–Roubaix’, ‘Tour de Luxembourg’, ‘Tour de France’, ‘Tour of Qatar’ and ‘Road World Championships’. His first victory that year was at the ‘Tour of Qatar’. This racer won the ‘Swiss National Time Trial Championship’ for the third time in the year 2005. The other cycling races of the year of which he had been a participant were the ‘Paris-Nice’, ‘Setmana-Catalana’, ‘Tour of Flanders’, ‘Paris–Roubaix’, ‘Tour de Luxembourg’, ‘Tour de France’, ‘HEW-Cyclassics’ and the ‘Road World Championships’. Fabian entered into a three-year contract with the ‘CSC’ team after his previous team ‘Fassa Bortolo’ split in 2005. In 2006, he tasted his first classic win at the racing event ‘Paris–Roubaix', apart from other victories of the year. However, he was not included in the ‘CSC’ team for the ‘Tour of Flanders’. He participated in the ‘Milan–San Remo’ and ‘E3 Prijs Vlaanderen’ but did not manage to finish first in the races. The first half of the year 2007 was not marked by successes, even though he contested in many races like ‘Tour of California, ‘Milan–San Remo’, ‘E3 Prijs Vlaanderen’, ‘Tour of Flanders’, ‘Paris–Roubaix’. in June the same year, he achieved the first success of the year by winning the prologue of the ‘Tour de Suisse’. This victory was followed by many other victories at the ‘World Time Trial Championship’, ‘Swiss National Time Trial Championship’, and ‘Tour de France’. 2008 had been a special year for Fabian, since he represented his nation at the Olympics held in Beijing, and tasted tremendous success. During the same year, he also registered victories in events such as ‘National Time Trial Champion’, ‘Milan–San Remo’, prologue ‘Tour of California’, ‘Monte Paschi Eroica’, and overall ‘Tirreno – Adriatico’. He also contested the ‘Paris–Roubaix’, ‘Tour de Luxembourg’, ‘Tour de Suisse’, and ‘Tour de France’ in the same year, but did not secure the first position. He raced as a member of the ‘Saxo Bank’ team during the next two years. Cancellara won the prologue ‘Tour of California’ a consecutive time in 2009. An injury deterred him from winning the ‘Tirreno–Adriatico’, and he could not complete the ‘Tour of Flanders’ because of defects in few areas of his bike. He was placed 49th in the overall event of the ‘Paris–Roubaix’. in June 2009, he won the overall event of the ‘Tour de Suisse’ racing competition. Later that month he won the ‘National Road Race Championship’ for the first time. He also contested in the ‘Tour de France’ and ‘Vueltaa España’ competitions, the same year. Later that year, the ‘UCI Road World Championship’ was held in Switzerland, where Fabian won the ‘Time Trial’ event, and finished fifth at the ‘Road Race’ event. 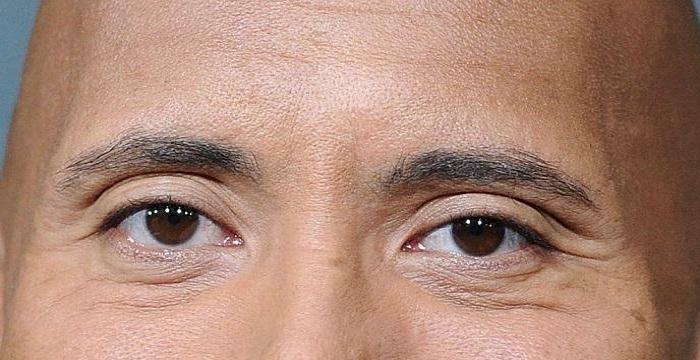 At the beginning of 2010, he won the ‘Tour of Oman’. In March the same year, he won the ‘E3 Harelbeke’ which is held in Belgium. He also succeeded in the ‘Ronde van Vlaanderen’ competition, becoming the twelfth cycling racer to win the opening three classic cycle races of the year in one career. He emerged victorious in the ‘Paris–Roubaix’ and won the prologue of ‘Tour de Suisse’ and ‘Tour de France’. He also raced the ‘Tour of California’ but did not win any stages. He won the ‘UCI Road World Championship’ Time Trial event in 2010 for the fourth time, and registered himself as the first person to win the event on four occasions. He was placed 50th in the ‘UCI Road World Championship’ Road Race event in the same year. A former racer Davide Cassani accused Fabian of using a motor on his bike but his team supported him, and his performances which followed proved the allegation to be wrong. In 2011, he joined the ‘Leopard-Trek’ team and his first victory that year was at the event ‘Tirreno–Adriatico’. While he finished second at the ‘Milano – Sanremo’ event, Fabian emerged victorious at the cycling event held at the town of Harelbeke. He finished at 3rd and 2ndpositions at the ‘Tour of Flanders’ and ‘Paris–Roubaix’ events respectively. In June the same year, he raced the ‘Tour de Luxembourg’ and won the prologue. He also won the prologue and the final stage of the ‘Tour of Switzerland’. By the end of the year, he took part in the ‘Road Race’ and ‘Time Trial’ events of the ‘World Championships’, where he was placed at the 4th and 3rd position respectively. 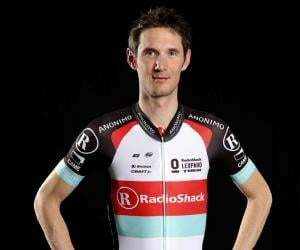 In 2012, he joined the ‘RadioShack Nissan Trek’ team, and began his year by winning the ‘StradeBianche’ and the ‘Tirreno-Adriatico Time Trial’ events. He also won the ‘Time Trial Swiss Championships’ during this time. However, he secured the 2nd and 3rd positions at the ‘Milano - San Remo’ and ‘Road Race Swiss Championships’. Later that year his good form was struck by various injuries and hindered him from winning many races such as the ‘E3 Harelbeke’, ‘Gent–Wevelgem’, ‘Tour of Flanders’. He made a comeback by finishing 2nd in the ‘Tour de Suisse’ held in June 2012. Later, he also won the prologue of the ‘Tour de France’. In the same year, during the ‘Olympics Games’ road race event he had a bad fall which left him in immense pain. As a result, he finished at 7th in the ‘Olympic Time Trial’. In August 2012, he stopped cycling for a brief period as he had to be operated for his collarbone injury, which had occurred to him during the ‘Tour of Flanders’. This sports personality joined the ‘RadioShack Leopard’ team in 2013, and began his year by contesting in the ‘Tour of Qatar’ and ‘Tour of Oman’. He also raced in the ‘Strade Bianche’ and ‘Tirreno–Adriatico’ events, but did not win any of these races. In the ‘Milan – San Remo’ cycling event, he managed to secure the 3rd position. The first winning moment of 2013 for Fabian occurred during the ‘E3 Harelbeke’, and then came the ‘Tour of Flanders’ which also he won, gaining his form back. On April 7th the same year, he won the ‘Paris-Roubaix’ for the third time. After this the racer announced that he would not race in the ‘Giro d'Italia’ and ‘Tour de France’ events, and would instead participate in the ‘Vueltaa España’, so as to prepare well for the ‘UCI Road World Championships’. The same year, he raced in the ‘Tour of Austria’ and ‘Tour de Suisse’, but his next victory was in the ‘Swiss Road Championship’s ‘Time Trial’ event. In mid-July that year, it was announced that the cycling star entered into a three year contract with the ‘Trek Factory Racing’ team which would be effective from January 2014. 2014 began with Fabian’s ‘Dubai Tour’, where he finished fifth. He also raced in contests such as the ‘Tour of Qatar’, ‘Tour of Oman’, ‘Tour of Flanders’, ‘Strade Bianche’, ‘Tirreno–Adriatico’, ‘Milan – San Remo’, ‘E3 Harelbeke’, ‘Gent–Wevelgem’, but he was victorious only in the ‘Tour of Flanders’. In September the same year, Cancellara declared that he wanted to concentrate on the ‘World Championship Road Race’ event, and as a result he would not race the ‘World Championship Time Trial’. He even declined to participate in the’ Vueltaa Espana’ for the same reason. In the 2008 Olympics Fabian had won a gold medal in the ‘Men's Time Trial’ (Individual), and also a silver under ‘Men's Road Race’ (Individual) category. 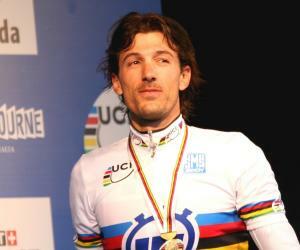 Cancellara was honoured with the ‘Swiss Male Athlete of the Year’ title at the ‘Credit Suisse Sports Awards’ ceremony. Fabian Cancellara and his wife Stefanie Cancellara are married since 2006. The couple is blessed with two daughters, Giuliana and Elina. Currently, the family lives in Bern, Switzerland. He communicates in languages such as Italian, French, German and English. This sports personality is one of the ambassadors of ‘Laureus Foundation’ of Switzerland. This foundation comprises the ‘Laureus World Sports Academy’, the ‘Laureus Sport for Good Foundation’ and the ‘Laureus World Sports Awards’, which together work towards providing education and coaching to deprived and under-privileged children, and help them by binding the power of sport. 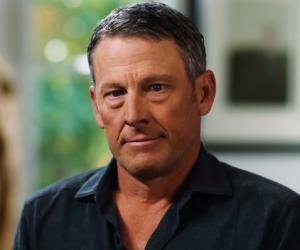 This cyclist’s net worth is estimated to be around $6309573, as of 2015.